Like brigades marching in lock step, the United States Military and the game of golf have enjoyed a deep connection that has endured through times of war and peace. Golf has served as an escape from the day-to-day demands of military service, providing much needed recreation, inspiration, therapy and philanthropy. 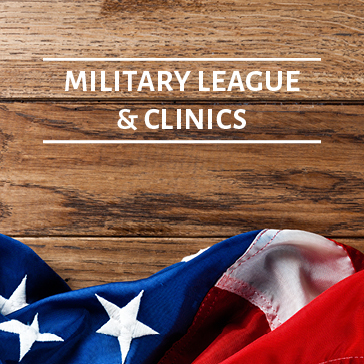 Join fellow military from all branches for this PGA of Michigan Grant Funded program where PGA Professional Doug Temple will teach / coach you on all things golf. Great for beginners to advanced players. When your game is ready – the course awaits. Following the lesson portion of the day join the camaraderie on the golf course. Players will have the option each Monday to get out and play alongside fellow Veterans. Thank you for your service!